Kelsey knows finding the ideal civil engineer or construction professional to meet the needs of firms and municipalities is critical. That’s why one of the favorite aspects of her job is the extensive research she frequently conducts in matching the right person with the right organization. When she joined The Executive Group, Kelsey was impressed with the depth of experience the organization has to offer both clients and candidates. She learned quickly, combining the resources available to her with her own skills and abilities to become an excellent executive recruiter for civil engineers, structural engineers and construction experts. 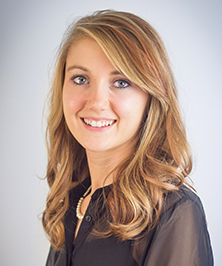 Kelsey holds an Associate’s Degree in Human Resource Management. She was raised in Montana and loves the outdoors. She enjoys reading, crafting, and spending time with her husband Shane. Kelsey is an active volunteer in the Billings community and currently sits on the Board of Directors for the Junior League of Billings.